Carrara White Marble High-resolution image. 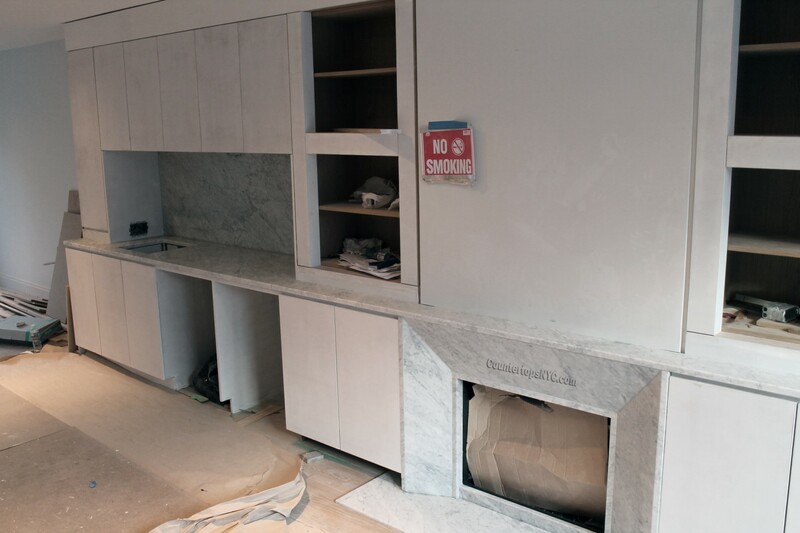 Carrara marble is often the choice of people when it comes to their kitchen countertops. After all, it is not only elegant but is also cool and bright at the same time. What makes it even a great choice is that they are easy to clean. Also, contrary to what most people think that having them for their countertops would be expensive, it’s actually not. This is the reason why apart from kitchen countertops, it is also used as tiles for the walls. On the other hand, what makes this type of marble unique is that there are veining in it. So, although the color of the background of the stone is grey/white, it is actually light gray with the veins spreading across the entire length of the marble. With that, you need not worry about the wear and tear being visible from the veins would be the ones to hide it for you. Your guest would not even notice that it there are wear and tear in it unless you told them about it and unless you point to them the exact location of the wear and tear. This type of marble also takes a long time to get warmed. In addition to that, it’s light color reflects most of the heat and so, you can keep your kitchen cool. Not only that, it is also easy to fix. As a matter of fact, you only need some polishing and after that, you would then be able to see it’s natural shine again and this is something that other material would be hard to achieve. So, what more can you ask for? Now, you might be wondering where the Carrara Marble came from. Well, it is mined from the Carrara city, which is located in the Province of Carrrara and Massa. This marble has been used and popular even during the Ancient Rome. As a matter of fact, this material has been used for building remarkable buildings in Ancient Rome like the Column of Marcus Aurelius and the Trojan’s Column. Now, it is being used in houses as a flooring and of course, for their kitchen countertops. After all, it offers a different kind of elegance, especially with the fact that it has veining that ranges from charcoal gray to blue-gray. So, if you are looking for something that would make your kitchen look more elegant without spending a huge sum of money for it, then the Carrara Marble is a great choice on your part.